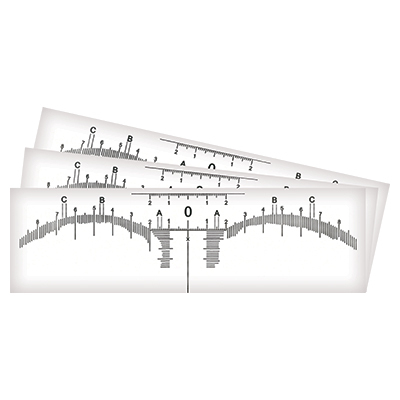 Eyebrow ruler stickers are a must-have item to ensure symmetry and precision, which is essential when finding important measurement points on the brows for waxing, tattooing, and microblading services. Adhesive guarantees steady measurements and stickers peel off easily for painless removal and quick disposal. 50 per pack.